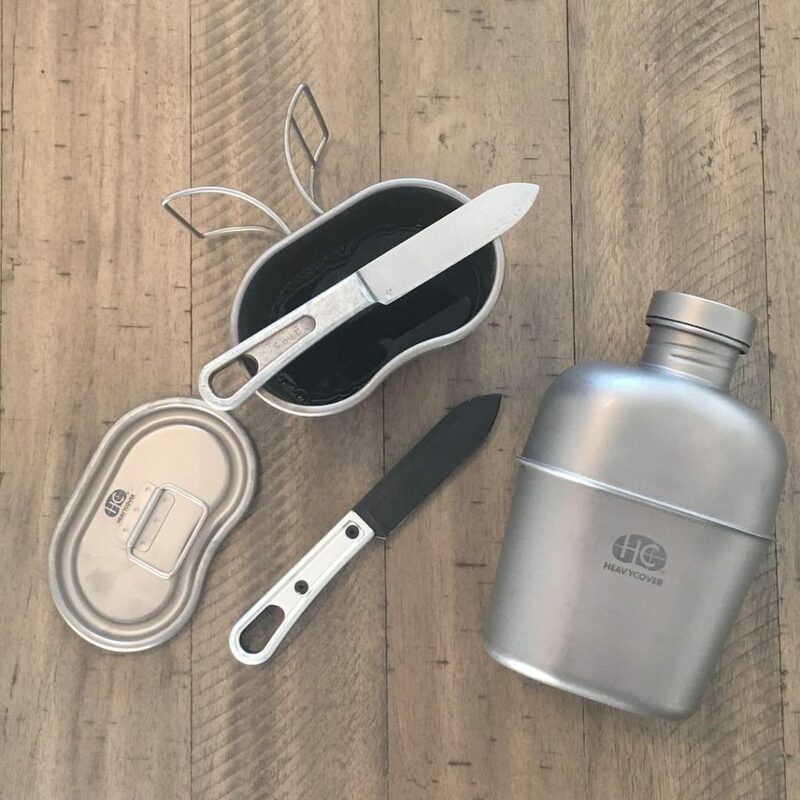 Sneak Peek: WWII USGI Mess Kit Knife Homage from Heavy Cover Inc.
You likely know Heavy Cover Inc as the makers of a titanium mess kit based on the size and shape of a USGI canteen. It is a thoroughly modern homage to a classic design. Is it any wonder that, when developing a a knife to serve as a companion to that same mess kit, they took inspiration from another classic USGI mess kit item? Heavy Cover Inc. has been working with Dauntless MFG to develop a modernized version of the USGI 1945 WW2 Mess Kit Knife. The Heavy Cover version of this knife will boast a D2 steel blade with a black nitride finish. The scales are machined from aluminum and will be hard anodized on the production knife. This knife is still in the prototyping phase. Stay tuned for additional details.